Originally from London, Kimberley spent her childhood fascinated by creepy crawleys, rodents and all creatures big and small. She continuously nurtured a number of hamsters and gerbils (and a fair few snails) but after fifteen years of begging her parents to let her have a dog they finally gave in, and she was blessed to rehome a stubborn little Jack Russell cross from Battersea Dogs Home. Bailey proved to be as hard work as expected and after much training and socializing (and a shed load of perseverance) he turned out to be the most loving and loyal little companion. Bailey truly sparked a desire in Kimberley to work with dogs and help animals in need. With a Bachelors degree in Art, Kimberley spent the first ten years of her working life as a freelance designer and children’s book Illustrator, but after moving to Australia she finally made the decision that it was time to follow her other passions, animals and biology. 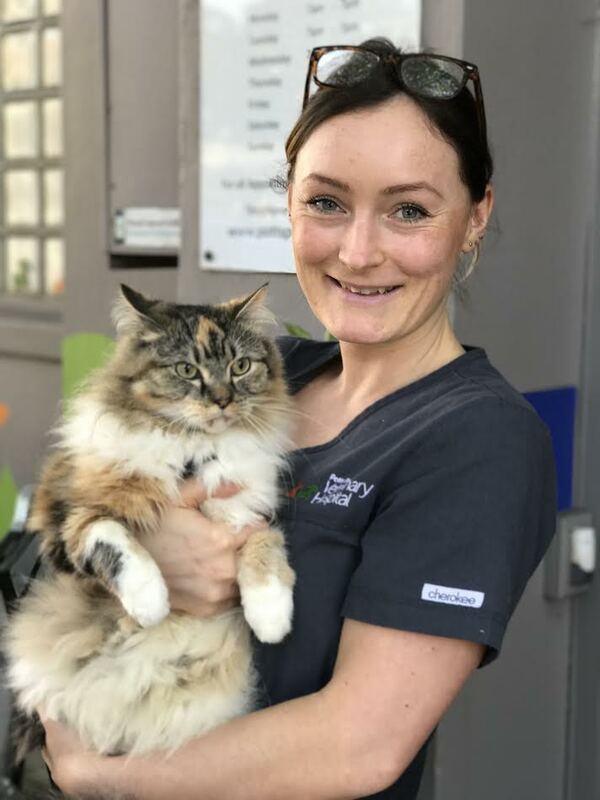 Kimberley regards it as an honour to be able to help animals on a daily basis, and has a genuine love for the scientific side of veterinary nursing. She is currently studying for her Certificate IV in Veterinary Nursing and is loving every minute of it. Outside of work Kimberley is a dedicated yoga practitioner, and she enjoys swimming, drawing, exploring the world with her husband and finding dogs and cats that she can befriend! Copyright © 2015 Potts Point Veterinary Hospital. All rights reserved.